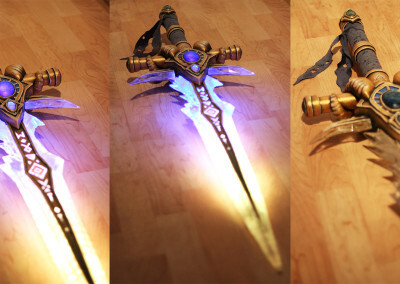 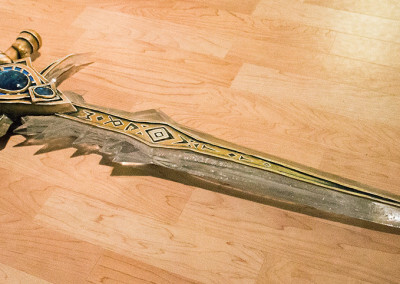 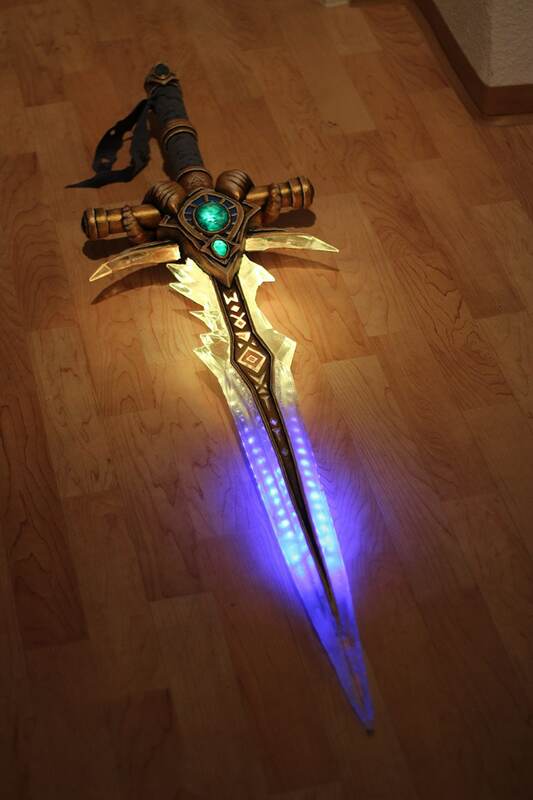 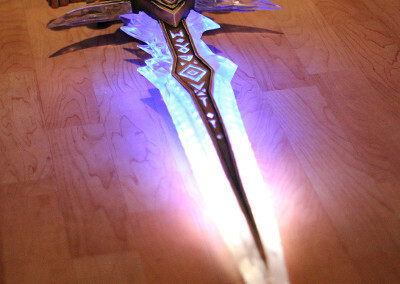 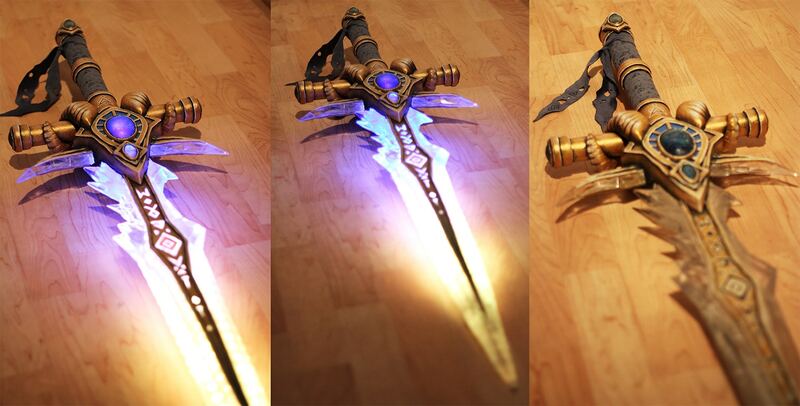 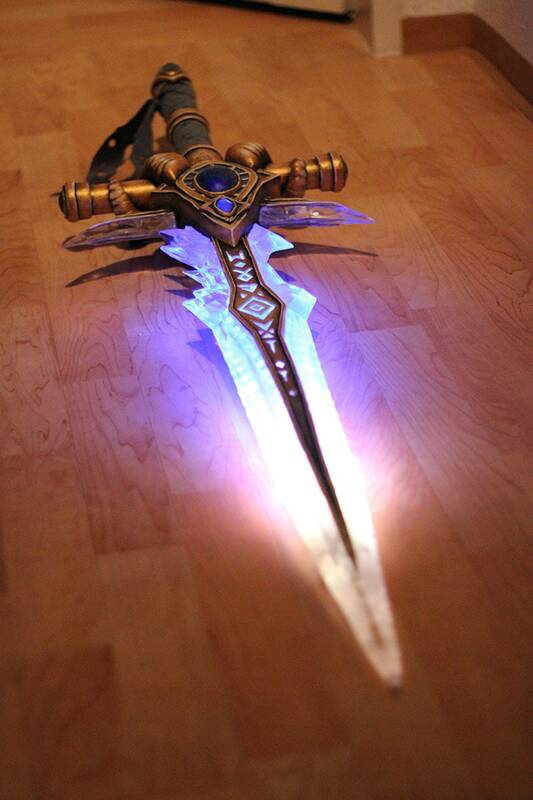 This awesome glowing Frostmourne was build by my close friend Selina Bäumler. 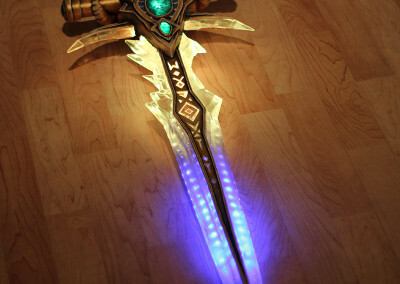 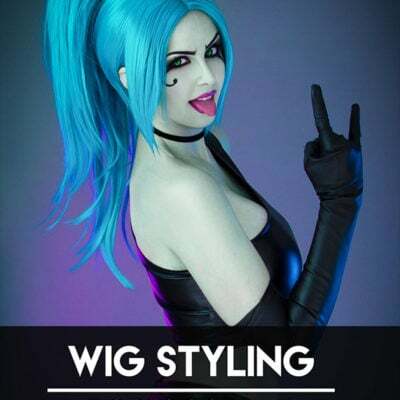 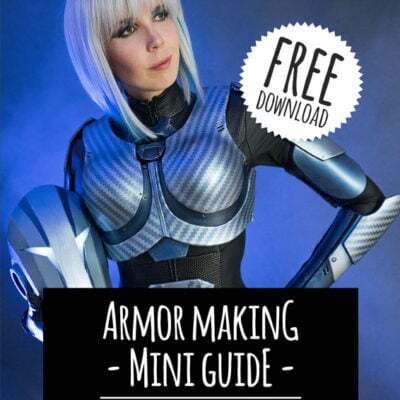 I just helped her out with programming the LED stripes for the blade. 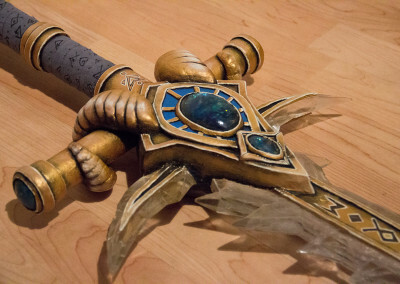 Since she does not have her own page I still wanted to display her awesome work.